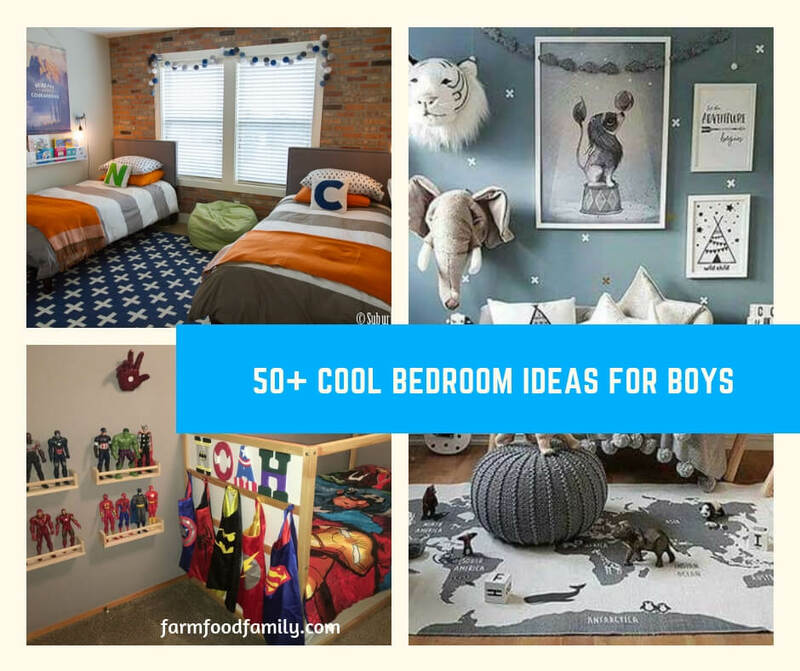 Find 10 new ideas for boy’s bedroom themes that bring a lot of excitement and fun into your child’s bedroom. For some reason parents seem to get stumped when it comes to decorating boy’s rooms and they opt for a straightforward room with blue paint rather than letting a theme dictate their decorating direction. By selecting a theme you’re giving yourself some direction yet opening more doors for decorating inspiration. Boy’s rooms can be really exciting and fun to decorate especially if you’re going with a themed element. Use a theme to provide a pivot point for the room and take your inspiration from that theme. Whether your son is a newborn or a teen there are themes that can work for every age group. It’s pretty easy to jump on the sports theme bandwagon, especially if your son has already expressed an interest in a particular sports team or participating in a sport. And you’ll find accessories, wallpaper, wall decals and other decorating items pretty readily. Since they’ll most likely enjoy that particular sport or team for a long time you can go wild with the decorations and not worry about redecorating any time soon. It’s sort of a cliché that boys like things that slither, but some of them really do and encouraging an interest in nature is not a bad thing at all. You can get really creative with this theme and use full color images from books as artwork or to wallpaper the room. Give your child a camera and let them take their own pictures of their favorite animal or bug and create a photo collage. Turn your child’s room into a town with roads or train tracks running through it, build tracks on the wall if you’re handy. Create stops along the route with different themed play areas. Paint murals on the wall of cityscapes or create a faux wall with holes drilled and Christmas lights poked through for an even more exciting city skyline. You can create a room that looks and feels like the outdoors with trees painted on walls and even artificial greenery attached to the wall and ceiling. Or try to make the room feel like a rustic cabin in the woods with flannels and plaids and trompe l’oeil windows that appear to peer out into the wilderness. You can even rig up a tent to serve as a canopy. Whether it’s space itself or Star Wars. there are a lot of space themed options for a boy’s bedroom. You can get mini planetarium projectors for the room, or place or paint stars on the ceiling. There are so many beautiful space posters that can be used as artwork and the real creative families could even turn the bedroom into the inside of a space shuttle. Using favorite television, movie, and cartoon characters is a really easy way to decorate a room because these things are mass marketed and all you have to do is purchase the accessories. You can paint the walls or add wall decals or even wallpaper but remember that fads and favorite characters can change regularly, so you’re better off picking a neutral basics and using accessories to express personal favorites. Rather than picking a favorite video game, use games as a theme in itself. Start with a favorite family board game, like monopoly, and paint squares around the room that reflect stops on the board. Frame game boards to be used as artwork or Velcro them to the wall so they can easily be removed and played with. Create an area for video games with a chalkboard paint wall for keeping high scores and bragging rights. Playing cowboys is still popular for some boys so give them a Wild West theme that lets them go crazy. Replace the closet door with swinging saloon doors. Saddle up a sawhorse and let them ride into the sunset. Paint one wall in a desert theme complete with aforementioned sunset, and paint the opposite wall with a gold rush boom town façade. It seems to be hardwired into the Y chromosome but most boys love vehicles of all sorts so let them have a room full of exciting fun. Nowadays you can find airplane, train and race car beds at reasonable prices. You can go for subtle and classic or crazy and full of excitement, or plan a room that will mature as your child ages, who knows they may turn their fascination into a profession in the future. Many people have a hard time sleeping, even children. So creating a bedroom that is mellow and serene can help promote sleep. The key here is to take all activities and excitement out of the room and give them a place that is just for relaxing and sleeping. It sounds boring and that’s sort of the point, but so many children have attention problems so creating a space that is calming is very important. Look for soothing colors, fabrics, white noise machines, soft lighting, and smooth edged furniture, anything that invites relaxation. When decorating your child’s room remember that tastes change so creating a room that is easy and inexpensive to redecorate is a good idea. Also a lot of families have already gone through the stages you’re at and you can find great deals on used furniture and accessories if you just keep your eyes open.